In New Zealand, there is an increasing number of specialist clinical pharmacy practitioners who base their practice on the solid foundations of post-graduate education and clinical or practice research. They have created new professional clinical roles within the primary, secondary and tertiary healthcare sectors, as well as in academia and within the pharmaceutical industry. This group of specialist pharmacists is currently isolated within their sectors of pharmacy service provision and there is an unmet need to support these innovators. A number of pharmacy organisations have supported various sectors of the pharmacy profession over the years, but mainly from within the community pharmacy environment. However, there is a growing number of pharmacists with specialised skills who are principally clinical pharmacy practitioners such as independent pharmacist consultants, CPC® practitioners, medicine information pharmacists, pharmacist facilitators, clinical pharmacists at the primary-secondary interface and clinical research pharmacists. These pharmacists work in a variety of areas such PHO’s, academia, the pharmaceutical industry and primary and secondary care. These areas of practice are leading edge and innovative and have not been particularly well supported in their attempts to develop a sustainable funded environment in which to practice at a specialist level. CAPA addresses the need for an organisation to focus specifically on these types of practices that are becoming major career opportunities for clinically skilled pharmacists. CAPA was formed to meet the sector needs and to sustain the development of professional pharmacy practitioners moving into new areas of practice and/or collaboration with other health care professionals that are outside the traditional spheres of influence, and not the focus of, existing pharmacy organisations. The innovative roles undertaken by these pharmacists require postgraduate education and the development of new skills. CAPA provides cohesion and peer support for these pharmacists and for other pharmacists with a specialist skill set wishing to move into the changing environment. CAPA also realises and iterates the need for a philosophy to develop research led activities and to provide a sound basis for evaluation of specialist pharmacist services. Over time this will allow pharmacists and key stakeholders to assess the value in the services provided and to modify practice models according to funder policy and patient need. There are numbers of opportunities facing pharmacists who wish to provide specialist clinical care within the current health care environment. The original driver for the formation of CAPA was the recognition of the need to seize these opportunities. Under the CAPA umbrella, membership forms a self-supporting peer network of pharmacists working to develop a sustainable professionally focused future. With major changes in the health care sector impacting on the provision of different models of health care, there is a need to change historical practice roles. With these changes there will be changes in the standards of competency required to undertake any particular role. CAPA is in a position to assist with competency standard setting for scopes of practice for specialist pharmacy practitioners. Members’ input is integral to the development of these new scopes of practice. 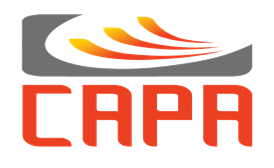 CAPA has been registered as an Incorporated Society with the Department of Internal Affairs and has developed an initial set of Rules to comply with the legislation.